It may have been Mary Aylmer who, in the late eighteenth century, was responsible for building 'a neat cottage' 'near the bay of Glenaá'. 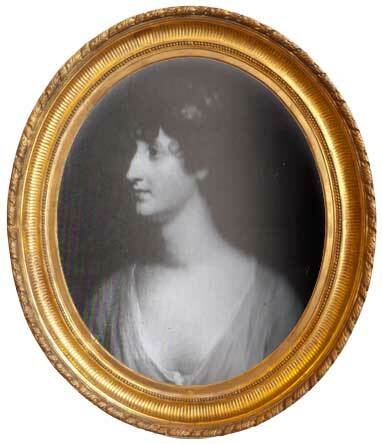 Mary was the second wife of Valentine 5th Viscount Kenmare, later 1st Earl of Kenmare (d. 1812). At that time, visitors to the Glena area usually dined at Glena cottage, as 'the slate-house at Derrycunihy' had fallen into disrepair. (The Post Chaise Companion or Traveller's Directory through Ireland, Third Edition, [Dublin, 1803], p.263). By the mid 1840s, Glena Cottage was held by Valentine 2nd Earl of Kenmare, for his own private use. However, Valentine had erected a second cottage a short distance to the east 'for the accommodation of visitors'. This second cottage was built 'on a very extensive scale,' and contained 'a handsome banqueting room'. Third Edition, [Dublin, 1803], p. 30). Lord and Lady Castlerosse, of the Kenmare family, fitted up Glena Cottage 'in the most splendid manner', for the visit of Queen Victoria in August 1861. On that occasion the Queen and members of the royal family lunched there privately. The royal party included: Prince Albert, Albert Edward Prince of Wales (later King Edward V11), Prince Alfred, and Princesses Alice and Helena. Lord and Lady Castlerosse entertained the royal entourage separately. (Irish Times, 29 August, 1861). This brief history of Glena Cottage is taken from Kerry People And Places 1860 - 1960. The Visitors' Book for Glena Cottage, covering the years 1861 to 1892, is available here. A likeness of Mary Aylmer dating to C.1802. Mary married Valentine Browne in 1785.